Designing Schemaless, Uber Engineering’s Scalable Datastore — Uber has developed its own MySQL-based schemaless storage system. This article explains why and how it came together. Writing More Legible SQL — Writing SQL is one thing, but when it comes to reading other’s SQL, things can get tricky. These few tips will help to make your SQL much more understandable by others. Real-time Postgres monitoring — Visualize Postgres system resources, connections, locks, transactions, and indexes, and instantly correlate with metrics from anywhere in your stack. Using CTEs and Unions to Compute Running Totals — A look at combining CTEs with unions to give not just grouped results, but also side by side aggregates. How Developers Use Databases Today: A JetBrains Report — Insights based on responses from 2000 developers. One factoid: Postgres is the database most would like to migrate to, while MySQL is the one they most want to leave behind. Elasticsearch Replaces Solr As The Most Popular Search Engine — While they’re commonly used for their search functionality only, Solr and Elasticsearch are also document database engines of sorts. Elasticsearch has now pulled ahead of Solr in DB Engines’ rankings. Querying Amazon Kinesis Streams Directly with SQL and Spark Streaming — What if you could use your SQL knowledge to discover patterns directly from an incoming stream of data? Streaming analytics is a very popular topic of conversation around big data use cases. PipelineDB Releases First Enterprise Version Of Its Streaming SQL Database — PipelineDB is built on a new way of looking at SQL databases, thinking about streams of data rather than data at rest in big silos. Hadoop's 10th Birthday — A look back at how Hadoop has gone from an unknown to the king of distributed data set processing systems. Creating a Data Model For Carpooling — It’s always good to see how a database designer approaches modelling a situation. In this case, it’s a ride-sharing app. Does your company need Big Data? LambdaNow can help! 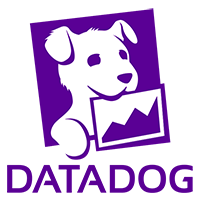 — LambdaNow solves the complexity of Big Data by providing easy Big Data processing pipelines. Try it for FREE Now. Medis: An Open Sourced Redis GUI Tool for OS X — Lets you view and edit keys, supports SSH tunnelling, config viewing/editing. It’s built using Node, Electron and React.